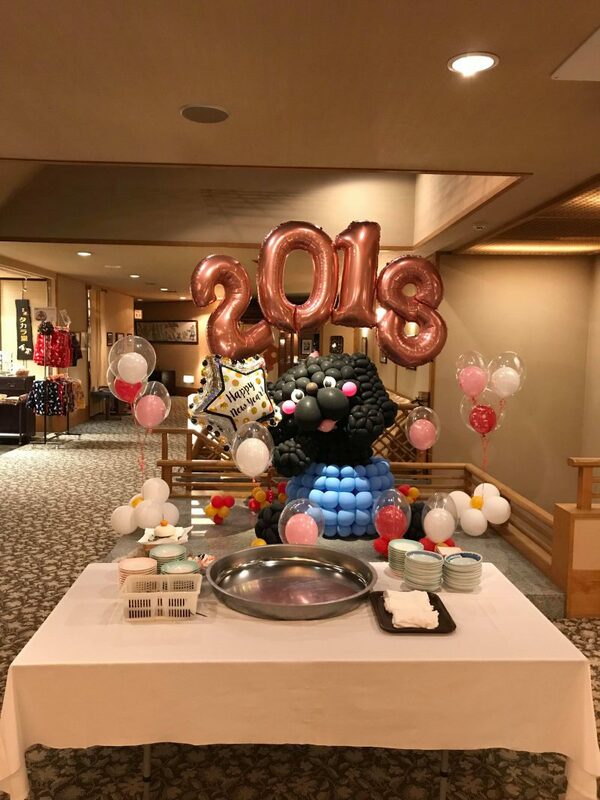 2018 is on at Hakkei, with lots of love, Events, celebrations with healthy good food at your ever loving Hot Spring Hakkei. New Year, New Morning bring lots of Happiness to all of you. Beginning of New Year, 1st activity making Mochi. 3 days activity with lots of Elders and children participation. Landlady starting this year`s 1st activity with our guests. Master Chef bring Rice to start making Mochi. 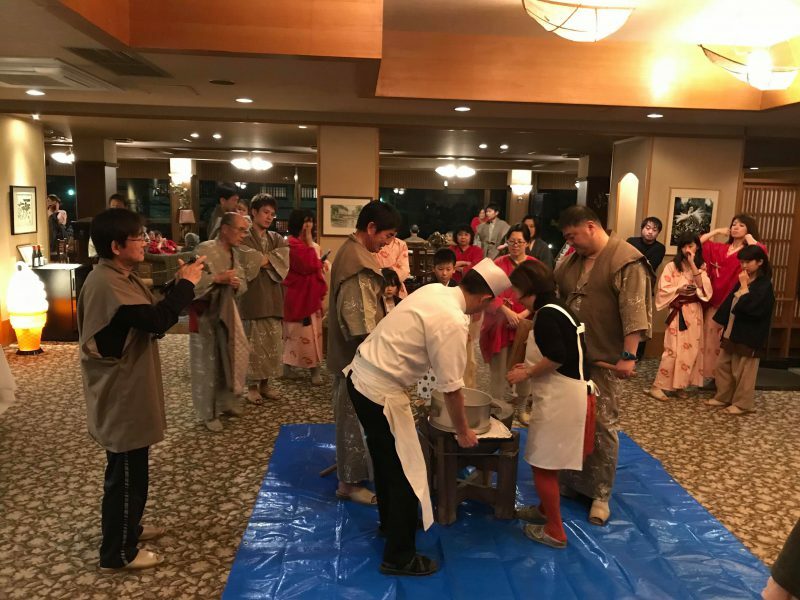 Guests will participate in making tasty Mochi. 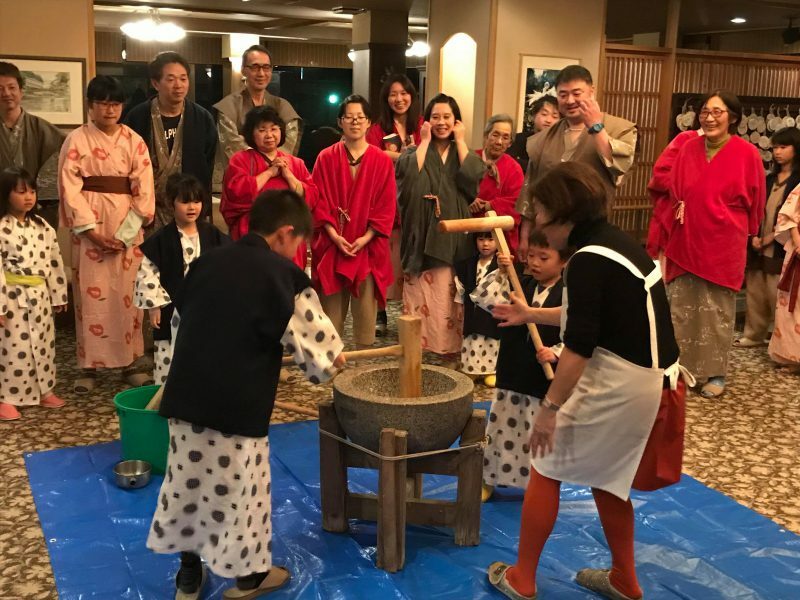 Young kids also show their power in making tasty Mochi. 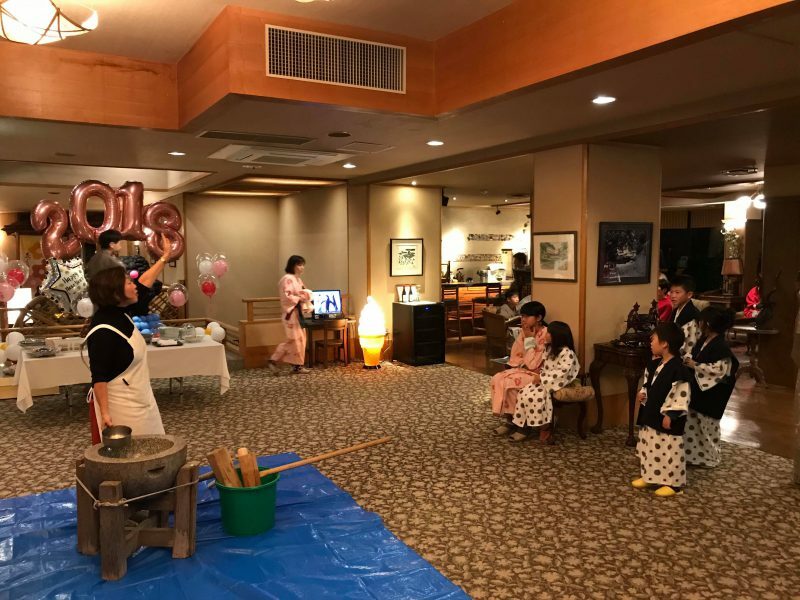 Nearly in 15 minutes Mochi will be ready and all guest will taste 2018 1st Mochi at Hakkei. 4th day is the Hand game time at Lobby. 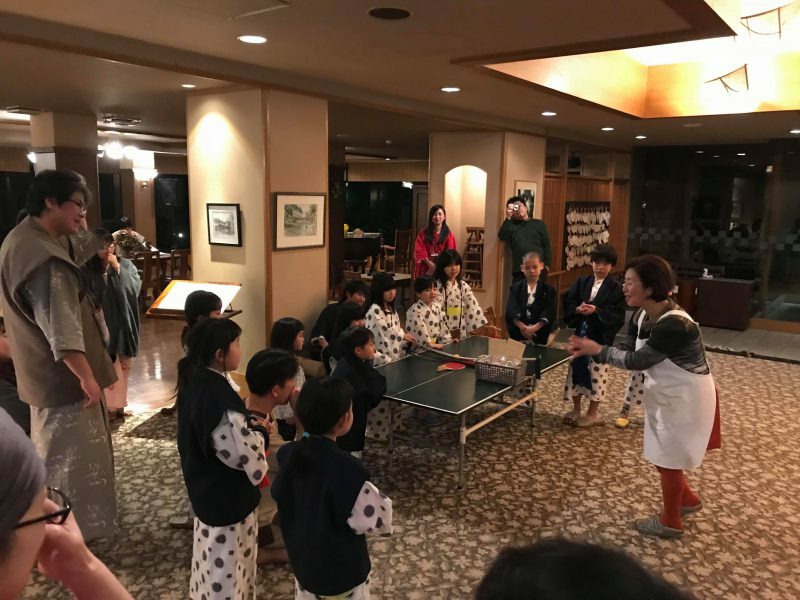 `Jankenpong` is the Japanese game popular in young age. In this game all participants have to select one from Stone, Paper and Sizor. Kids who won get prices from Landlady. Four days with full of activities. Finally at last i am able to post blog. We have fun with our customers every day. Come on at Hakkei `Aloha in Midwinter`will not stop more events with sightseeing at Yubara. I think that it is a time to talk and encounter and reunion with the customer, and I am thankful to the customers who have a voice in various scenes, also I am thankful to all my staff and family members who guided me last year. 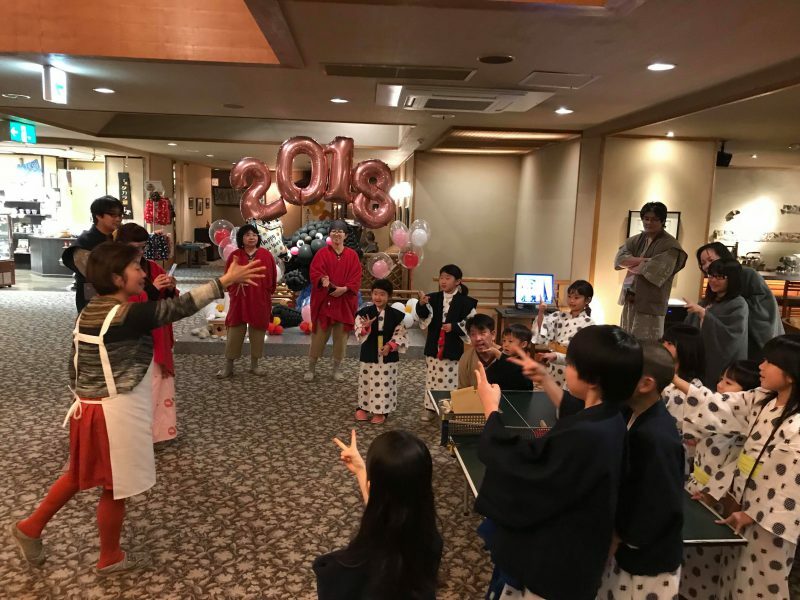 Everyone in the excitement of the pounding of the mochi is a nice and interesting to welcome this New Year. As I think this is not enough, more to come with happiness and pleasure. I would like to entertain more guests this year. ️Keep praying for us all, hopefully 2018 will be more fruitful for us all. Thank you everyone and kindly follow us as more to share inside Japan.